Additional Notes: Actor Jason Tobias just booked a Lead role in King Fish Productions' IMBRUGLIO cast by Kate Reed. Jason is a talented actor, dancer and athlete, with special skills including stunts, stage combat, fight choreography, jousting and various martial arts and weapons training. He has recently appeared on TV in "Rush Hour," "Days of Our Lives," "My Crazy Ex,", "The Fosters," and previously on "Justified," and "Franklin and Bash." Jason also plays the lead role of [Gabriel] in "Bloodlines: The Series." Recent feature films include "Airspeed," "Open End," "Terrordactyl," "Most Likely to Die," "David and Goliath," and "The Second Coming of Christ." 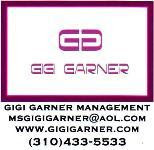 Jason is represented by Gigi Garner Management.